OUR LITTLE GENIUS: Questionable On-Set Activity! 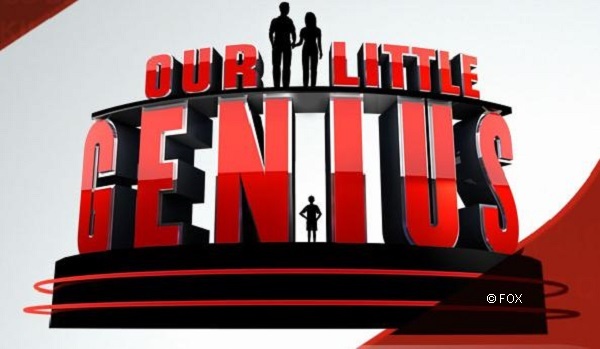 “Our Little Genius”, set to air January 13th has been pulled from the FOX schedule and as stated by producer, Mark Burnett, will have to re-shoot episodes for the network announced today due to some questionable findings. Well, we’re not surprised! During visits on the set of “Our Little Genius”, HOLLYWOOD JUNKET reported some unusual findings, which have recently been affirmed by a news release from FOX today and as reported by The L.A. Times. The most surprising incidents on the show were whenever a child contestant got one of the first three answers incorrect, they were allowed to re-start a fresh game. The child was taken back stage along with his or her parents for about a half-hour or so, then returned to the stage to start a new game. The stage manager explained this as a “rule” that is written into the contestants contracts that they sign according to the producers of the show. That in fact, contestants are said to be “guaranteed to win at least “$10,000″. The only reason that this would make sense is if this clause was written as to not directly conflict with the title of the show…you know, the ‘Genius” part. Perhaps, but this theory didn’t hold up with the last contestant of the last tape day. That’s all I can state for now. Two children in which this occurred actually did go on to do quite well on the show. In one case, a young boy was brought back for a second time. In the format of how the game is played, the contestants’ category is revealed to them before they take on the next set of answers. This is how their parents decided whether or not they want their child to continue on. When the boy stated that he was not very familiar with that particular category, filming was again halted briefly. Then when filming started again, the child was given a new category, which – surprise, he did know!. The stage manager stated that there was a “technical error”, and that the categories got “mixed-up by mistake”. Update: We have contacted the show, and given them a second opprotunity to respond to our reports. We will keep readers updated. Witnessing the show, did not seem like a game-show, but more like a scripted test-run of shows. Another very interesting sidebar, is that there were no representatives from “Standards and Practices” visible on the set the entire two show dates that HOLLYWOOD JUNKET was in attendance. We’re not stating that they were not there, just simply stating that we didn’t SEE them. This is unusual especially in incidents when several contestants have to re-start their shows. “Standards and Practices” reps are always on-stage of any game show for anything that affects a contestants game. What happened during the last day of filming? We’ll reveal that in a future post! HOLLYWOOD JUNKET gave producers the opportunity to respond to our earlier statements in the article in December, but they never got back to us.